In this video, we will discuss how to cancel an Observable using the unsubscribe method. This is continuation to Part 40, please watch Part 40 from Angular 2 tutorial before proceeding. Let us understand this with an example. Here is what we want to do. When the request to the server is in progress we want to display "Cancel Request" button. The "Cancel Request" button should only be visible to the user when there is a request in progress. 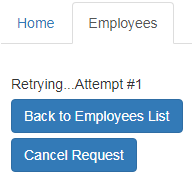 When the request fails permanently after exhausting all the retry attempts the button should disappear. Along the same lines if the request completes successfully, then also the button should disappear. When the user cancels the request, by clicking the "Cancel Request" button, the request should be cancelled and button should disappear. 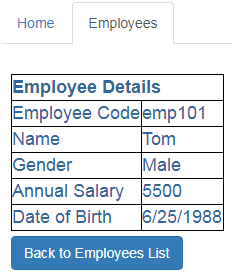 To achieve this, include the following HTML in employee.component.html file. This HTML is for the "Cancel Request" button. Please pay attention to the structural directive ngIf on the <div> element that contains the button. As you can see we are showing the "Cancel Request" button only if the subscription is not closed (!subscription.closed), meaning only when there is a request to the Observable is in progress. The ngIf directive will take care of showing and hiding the <div> element depending on whether the subscription is closed or not. We are also binding the click event of the button to "onCancelButtonClick()" method. We will create both the subscription object and the "onCancelButtonClick()" method in the component class. <input type="button" class="btn btn-primary" value="Cancel Request"
Now modify the code in employee.component.ts file as shown below. The relavant code is commented and self-explanatory. // setting the status message property of the class to "Request Cancelled"